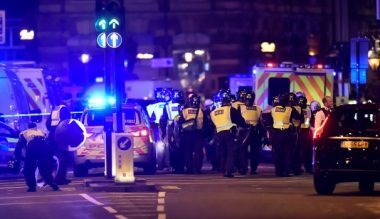 Van has hit a number of pedestrians on London Bridge. The bridge has been closed in both directions. Apparently this is a terror attack.